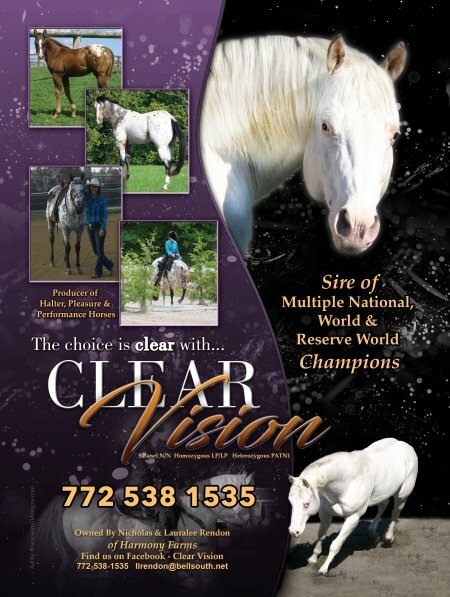 CLEAR VISION 2002 Few Spot CLEAR VISION is standing in Vero Beach Florida for the 2019 breeding season. This year we are discounting right off the top!!! Don't miss out!!! Get Color and performance in your barn! Don't sacrifice quality or color when breeding!!!! Clear Vision has proven he produces color 100% of the time and athletic award winning offspring. He is tested 5 panel negative, and is LP/LP and also has a copy of PATN1 and is a Leopard producer. A/A Agouti , ee for red black factor. 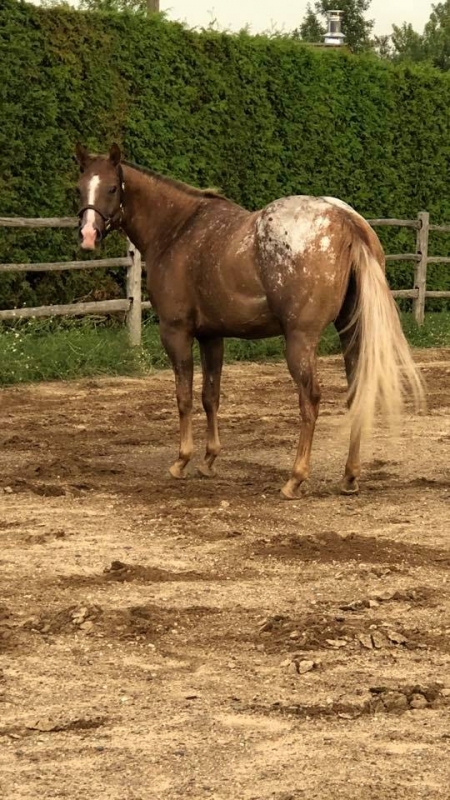 He has the conformation, personality , natural muscle,and a beautiful head that he passes on to his babies , stands at 15’2 is~~~~BRONZE MEDALLION SIRE ,~~~SUPERIOR HALTER SIRE,~~~~SUPERIOR PERFORMANCE SIRE,~~~~ROM SIRE,CLUB CHAMP SIRE,~~~~~VERSATILITY CHAMP SIRE. ~~~~~~GET HAVE NOW EARNED~~~~~~ 501 halter points ~~~ and 287.5 performance points. 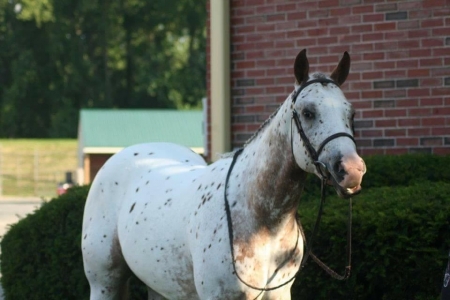 He is the full package of what we dream for in an appaloosa . 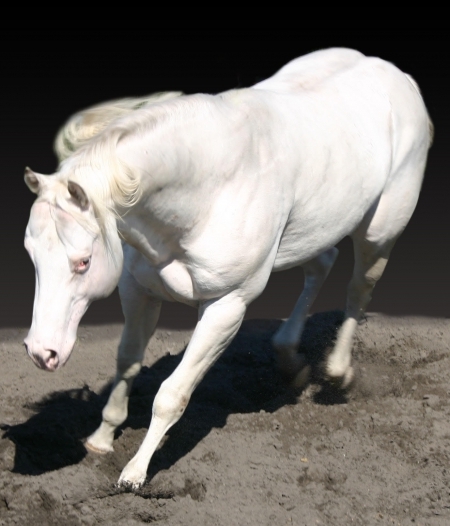 He is a sire of Performance horses and halter horses in many disciplines. 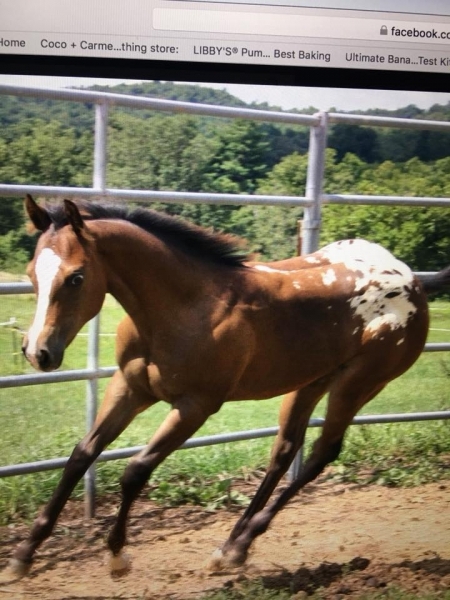 Reining, Western Pleasure Heading, Healing, Ranch horses, Gaming horses. Hunter under saddle, Reining. Sire of Champions and Reserve Champions. You may contact us at 772-538-1535 or email llrendon@bellsouth.net Laura Rendon/ Harmony Farm~~~facebook page CLEAR VISION. ~~~~~~~~~~~~~~~~Mares must be 5 panel negative. 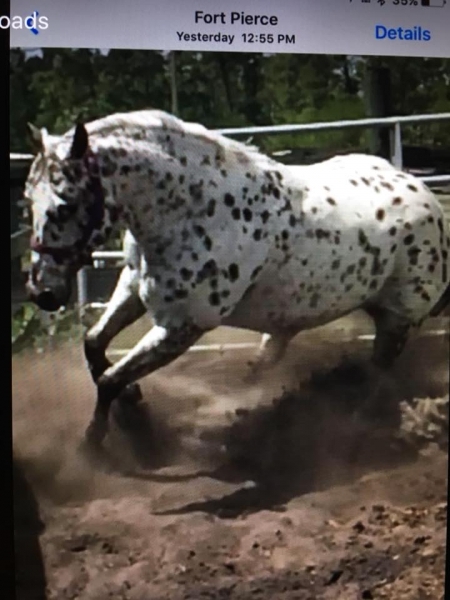 Contact Laura Rendon for Jan 1st Booking discount, and point earning mare discounts.